Post election the investment community was strong on the belief that the new administration was going to get the economy to grow and that inflation will pick up. Below looks at the Growth/Inflation indicator ratio, which is created by using TIP/TLT ratio. Prior to the election, the ratio took off, reflecting that many believed in the growth/inflation story, starting almost 1-year ago. The counter trend rally took it up to its 6-year falling resistance level at (1), where it stopped on a dime. Since hitting resistance, this ratio has starting falling rather sharply. 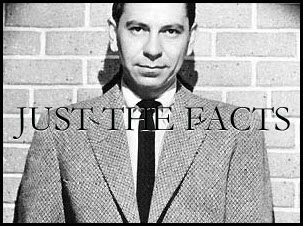 Joe Friday Just The Facts… The indicator is tanking, reflecting little belief that growth/inflation is going to take place in the near future! Below looks at another growth/inflation indicator over the past 35-years, which finds itself at a critical support test at (3). TR commodity index has spent the majority of the past 30-years inside this rising channel. After peaking in 2011 at the top of the channel, the index is now testing rising support again at (3). This support test is the bottom of a 30-year rising channel. 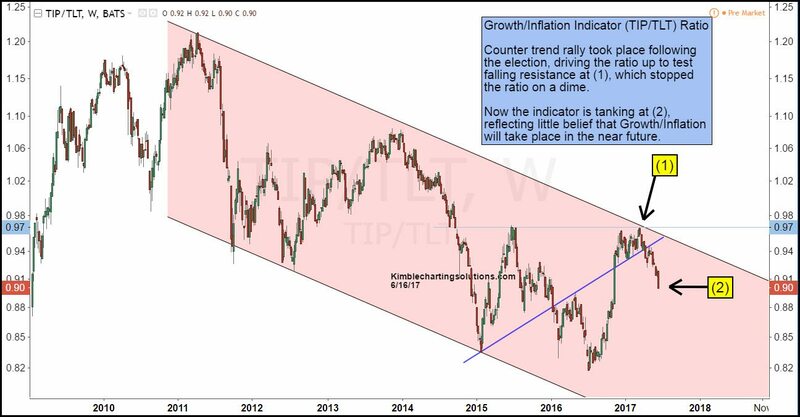 The growth/reflation theme has fingers crossed this key support point holds!!! If the TIP/TLT ratio and TR commodity index breaks support at (3) and the ratio keeps heading south, they both would be sending a message that growth/inflation is not something to be concerned about in the near future.